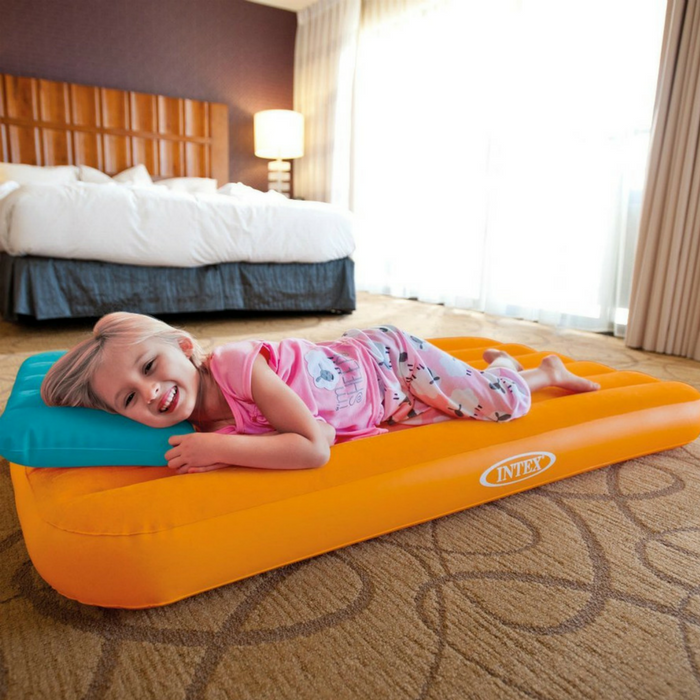 Intex Cozy Kidz Inflatable Airbed Just $10.49! Down From $40! You are here: Home / Great Deals / Amazon Deals / Intex Cozy Kidz Inflatable Airbed Just $10.49! Down From $40! Exclusive for all Prime Members only! Score this Intex Cozy Kids Inflatable Airbed at Amazon for just $10.49 down from $39.99 PLUS FREE shipping with Amazon Prime or for orders over $25! The perfect airbed for kids with soft, inflatable pillows in three fun and exciting colors! It will come in handy for sleepovers, nap time and travel, without sacrificing comfort or convenience! This is perfect for the coming holidays with your relatives and friends sleeping over to celebrate!